i’ve noticed a trend of northern hemispherians tweeting & posting about all the amazing (+premature) weather sweeping the land. with nice weather, comes nice weather things – and i’m sure visions of iced cold beverages and backyard parties are now rapidly running around your mind. 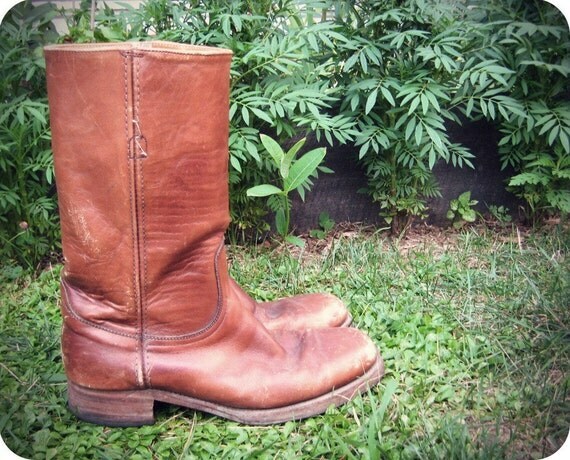 sooooooo – i thought i’d share something that i recently stumbled on while shopping on etsy… a perfect accessory for handmade lovers and summer sitting. 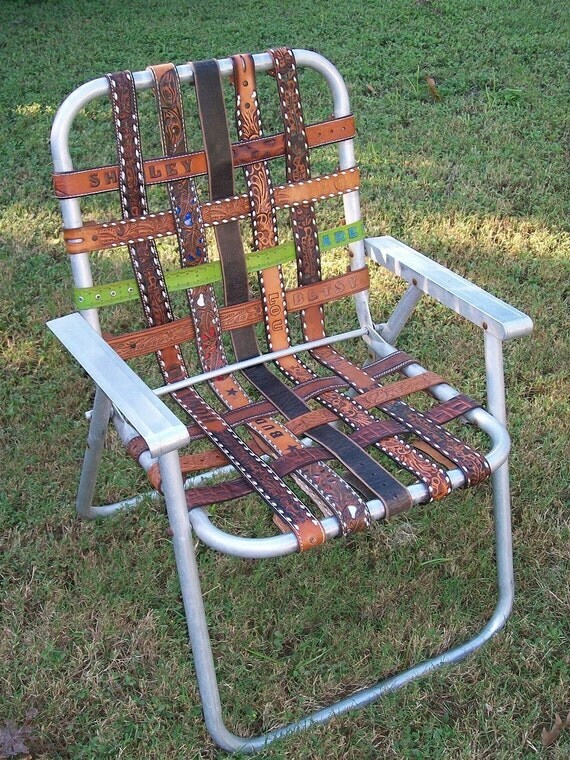 vintage aluminum chair w/ western belt, available from kikithespunkymunky – check it out here. thursday at 11:30pm (yes, a school night) i decided i was in the mood for some design… now since my next project is our bedroom and the man was already sound asleep, i decided to opt for some design on the more quiet side. so i bring to you my etsy curation (with a look that i think emulates my style & home decor – the title: she’s a little bit country…). 2 hours + 2 cups of tea later, here is my creation – I hope you enjoy! check it out here.